It’s that time again folks! The time in which fans gather, for a few days a year, to either curse their GMs’ names or drink to a huge improvement. 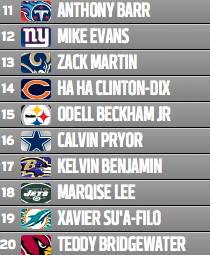 The NFL Draft for 2014 is upon us. 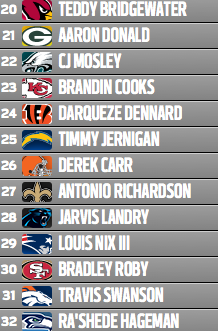 Now, I’ve made numerous of Mock Drafts in my life, all of which have been featured on old blogs – so this will be my first Mock Draft on WordPress. Each Draft pick for the 1st round will be covered in, 2 sections each. Section number one: Scenario 1, that’s right I’m drafting in 2 different scenarios a pick. This way, I won’t be calling for just one player (thus harming my chances at being correct). 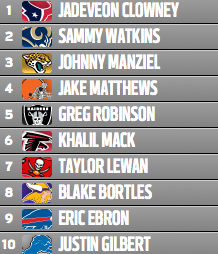 Scenario 1 is the scenario in which I get to pick for each team, meaning I don’t predict – I pick. Section number two: Scenario 2, in this section I will try to predict for each GM and coach. 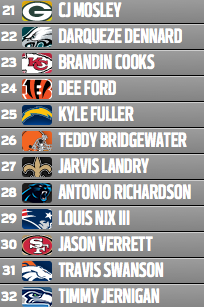 So, let’s get to the 2014 NFL Draft, but first a sneak peek at what my mock draft my look like in the future drafts to come, as I go ‘in-depth’ with Houston. This year, however, it won’t be in-depth – but I hope to finish a Draft Board for my Chicago Bears before the draft itself. War Room: The Texans were completely derailed last season, and though they have weapons on both sides of the ball, they need game changers to take over their division. The one position that screams for a replacement is the Quarterback-position, but I’m unsure as to whether they have to draft one in the 1st round, or if they could potentially gain from waiting until the second round. Sometimes you need to pick the best player remaining. Scenario 1: Jadeveon Clowney, South Carolina, Defensive End / Outside Linebacker; I do believe a suitable quarterback can be picked up in the second round, and you can never stop strengthening your defense. Just imagine J.J. Watt and Clowney together. Scenario 2: Johnny Manziel, Texas A&M, Quarterback; Sometimes you have to go all in on the player with the most hype surrounding him. Johnny has been hyped for a long time, but can perhaps silence his critics with a Texan offense ready to do battle for the AFC South throne. This wasn’t much, but that’ll do for this year – I think. 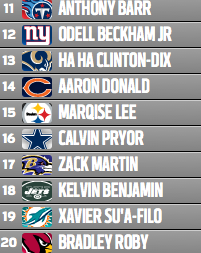 I would encourage you to try to make your own mock draft on NFL.com. 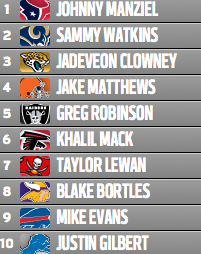 I admit, this one might be the worst looking Mock Draft – but I needed it to be finished sooner rather than later, and I had no time to go over each pick like I imagined. Am I right on? Or, do you see some picks that you thoroughly disagree with? Then comment, and we’ll talk it out.